At a recent stop in Columbus, Ohio, two of college/indie rock’s heavy weights reveled in the success of their knockout songwriting prowess. Although some will dispute the lasting merits of Weezer’s later career efforts, as recently parodied on Saturday Night Live, Weezer’s March 19 performance during a co-headliner with The Pixies at the Schottenstein Center left little doubt that they’re still a formative, if not definitive band of the rock-to-pop crossover space (with or without Matt Sharp Leslie Jones). Performing a set heavily populated by tracks from their 25-year-old debut Blue album, which first gave the band their MTV/Billboard foothold, the group made brief forays to material from across their career, including, “El Scorcho,” “Island in the Sun,” “Hash Pipe,” and “Beverly Hills.” The set was also peppered with covers from their recent Teal album, including their faithful takes on TLC, Black Sabbath, Jane’s Addiction, Ben E. King, A-Ha, and Toto favorites. And, set against a menagerie of backdrops that included a curtain (for the barbershop quartet version of “Buddy Holly”), a Weezer-centric Arnold’s Diner set, a garage (although “In The Garage” was noticeably missing from the setlist), underneath a 70s am gold inspired disco ball, a floor sailing pirate ship (from where frontman Rivers Cuomo performed acoustically), and a proper arena backdrop as fire rained down behind them, the performance was a feast for both the eyes and ears. The opening set from The Pixies threw down a considerable gauntlet, as the co-headliners displayed indisputable evidence of the timelessness of their back catalogue. From the Cure-esque treatment of “Gouge Away,” to the lighter-hearted hit “Caribou,” the straight forward, post-punk anthems “Where is My Mind?, “Gouge Away,” and “Wave of Mutilation,” and the guitar squall drenched “Mr. Grieves,” and “Bone Machine” the Boston quartet was in lock step. A personal set highlight came during “Here Comes You Man,” when a young girl of around 11 or 12, pogo’d her way through what is clearly her number one jam of any era. The band closed the set with “Gigantic,” during which bassist/vocalist Paz Lenchantin proved that she’s a both formidable and completely worthy replacement for Dayton’s Kim Deal, who was amidst the band’s earliest membership. UK post-rock quintet Basement, who weren’t likely on the radar of very many of the evening’s attendees, received a warm reception as they powered their way through any lesser band’s nightmare spot supporting two monumental and monsterous live acts. Ghettoblaster photographer Christopher Corn was there to capture some of the magic. 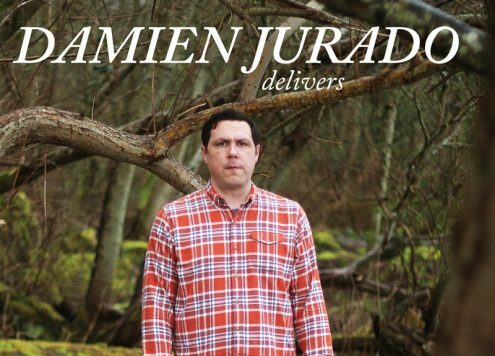 Issue 43, featuring Damien Jurado on shelves!